The T-Mobile MDA is now shipping from T-Mobile USA. It was announced along with the SDA on February 13th. The feature-packed Windows Mobile smartphone is listed at $349.99 after a $50 rebate and 1-year contract. 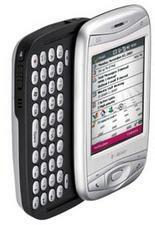 Since the device is made by HTC it goes by a few other names, including the Wizard and Cingular 8125.